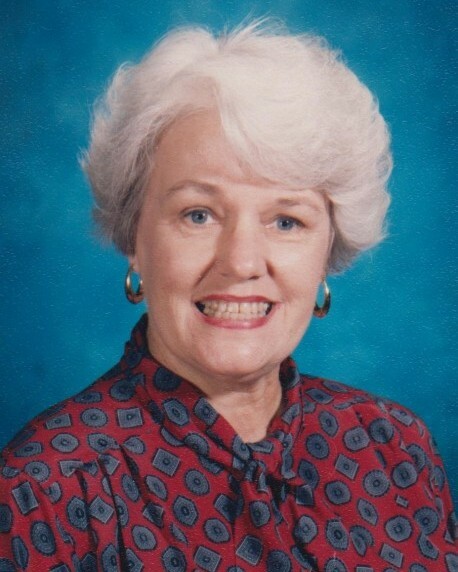 Gertrude (Trudi) Amelia Atkinson Mayo of Harlingen, Texas passed away Saturday, December 1, 2018 at La Hacienda Healthcare in Harlingen from complications of a lengthy illness at the age of 80. Trudi was born April 22, 1938 in Esperance, NY to Robert and Jean Little Atkinson. She graduated from Mesa High School. Trudi was a model for John Robert Powers Agency, a runner-up in the Miss Mesa Pageant and received the American Cancer Society Community Crusade Leadership Award. She worked at Motorola where she met Stuart C. Mayo and they married July 20, 1957 in Mesa, Arizona. Trudi later worked for GMAC, Bonham Elementary and Crocket Farms. First and foremost, she was a wonderful wife, homemaker, mother and grandmother. Her favorite hobbies were sewing, cooking and baking and she loved volunteering her time…especially at the First United Methodist Church. Trudi was a member of the Junior Service League of Harlingen where she helped with the Thrift Shop and party props. She was also a member of the March of Dimes, American Cancer Society, PTA, Child Guidance Club, HHS Band Boosters and the Lower Valley Cotillion Club. She is survived by her three daughters, Bridget (Gary) Henderson of Kerrville, TX; Allison Mayo Thompson of Harlingen and Carin Mayo Adams of Harlingen; her grandchildren Julianne Henderson of Richardson, TX, Danielle Henderson of Newport, KY; Chance (Lauren) Thompson of Conroe, TX, Ashley (Jerry) Furst of Belton, TX Hawk Thompson of Round Rock, TX, Courtney Adams of San Marcos, TX; and her four great grandchildren Blaise Furst, Kaia Furst, Kason Thompson and Logan Thompson. She is also survived by her two very special sisters-in-law Lynn Johnson and Ruth (Junior) Grossman and numerous nieces, nephews and cousins. She was preceded in death by her parents Robert and Jean Atkinson, her sister Nancy Bastian and her husband Stuart C. Mayo. Visitation hours will be from 3:00 PM to 9:00 Pm with the family receiving guests from 5:00 PM to 7:00 PM on Friday, December 7, 2018 at the funeral home. A celebration of Trudi’s life will be held at 2:00 PM on Saturday, December 8, 2018 at First United Methodist Church in Harlingen with the Rev. J J Wicke officiating. Private burial will be held at Mont Meta Memorial Park. In lieu of flowers, memorial contributions may be made to the First United Methodist Church, 321 E Harrison Ave. Harlingen, TX 78550 or the American Cancer Society, P.O. Box 22478, Oklahoma, OK 73123. The family would like to thank Dr. Shenkenberg, her caregivers at home, the caregivers at Cano House and La Hacienda Healthcare.